I knew the plot of this movie in intricate detail before I ever saw it. No, I didn't actually read the novel by Nevil Shute (I keep meaning to do so, but I haven't got around to it.) No, actually, when I was in high school I had a teacher for history and civics named Bill Crenshaw. Coach Crenshaw (he was one of the athletic directors too, back in the day when coaches actually had to teach classes too) was a great guy. And an interesting teacher. He saw this movie when it came out and it must have had a profound effect on him. Whenever the subject in class would veer off into the potential for nuclear war (which it sometimes did, and I must admit we sometimes would intentionally veer the topic), Coach would go off and relate the plot of this movie. 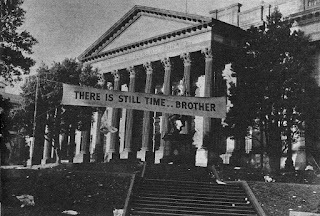 This was in the late 70's, when the Cold War was still in full swing, so it still had an impact on the level of the potential threat of nuclear war, although maybe not quite as fearful as the late 50's-early 60's. But it wasn't until years later that I finally got to see it. By then the Berlin Wall had fallen and, before the events of 9/11, the world was in a lull, nuclear-ly speaking, and so it didn't have quite the same impact for me. But it was still a great movie, and I have watched it a couple of times more since then. 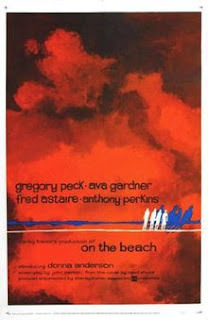 It was directed by Stanley Kramer, a man known for his "movies with a message". Imagine, though, a world that teeters on the brink of the threat of war between the two nuclear powers. At the time, it was Russia and the U.S. facing each other nose to nose, and this was just a couple of years before Kennedy and Krushchev faced off during the Missile Crisis) . The dynamic impact at the time was that this movie ostensibly was to take place in 1964, just 5 years into the future from the time of it's release. I can only speculate on how people who had seen the movie felt when the events of that October 1962 event was ongoing. Although the reason for the nuclear war which has devastated the rest of the world is not actually stated, one couldn't help but think immediately of either Russia or the U.S. instigating the start. This is a very heart-rending movie. After all, the ending is known from the very beginning of the movie. The world is due to an untimely death. The rest of the world has already ceased to exist. Nuclear radiation fallout from the war is on the horizon and nothing can stop it. The only remaining island of civilization is just that; an island called Australia. Throughout the film people are constantly trying to cope with the inevitable end. Nuclear fallout is like that. It doesn't care one whit about how much people want to go on living, it has it's own goal and that is destroying everything in which it comes in contact. In the aftermath of 9-11, this movie has had a resurgence in its potential impact, especially with every third world country and their mothers now having access to nuclear weaponry, and some of those countries being run by egomaniac nut jobs who have no care about the downfalls resulting from their use. Fair warning. If you decide to watch this movie, it may scare the hell out of you. It will almost surely elicit a sense of dread and pathos for the characters. 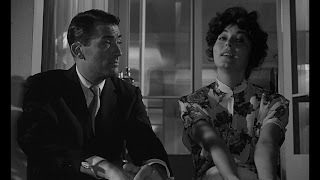 It is somewhat dated, as any movie from the 50's will be, but if you watch it with an open mind, it can be just as entertaining as, say, Guess Who's Coming to Dinner?, another Kramer directed movie that is dated in its theme. Spoiler Alert! : By necessity I have to reveal the ending to this movie. Although it should be obvious before the ending is revealed, you might want to watch the movie before you read further. 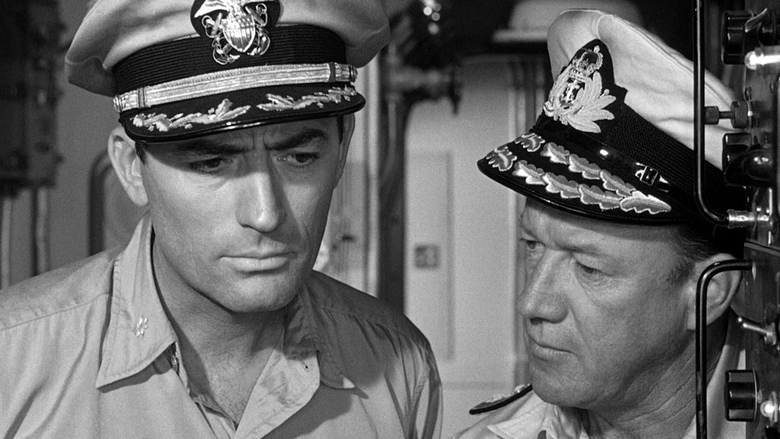 The USS Sawfish, under the command of Commander Dwight Towers (Gregory Peck), is looking for life. Nuclear fallout has covered all of the Northern Hemisphere, and they are having zero luck. 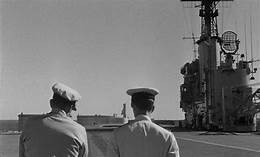 Thus they pull into Melbourne, the southernmost port in the southernmost country and become, for all intents and purposes, an adjunct of the Australian Navy. 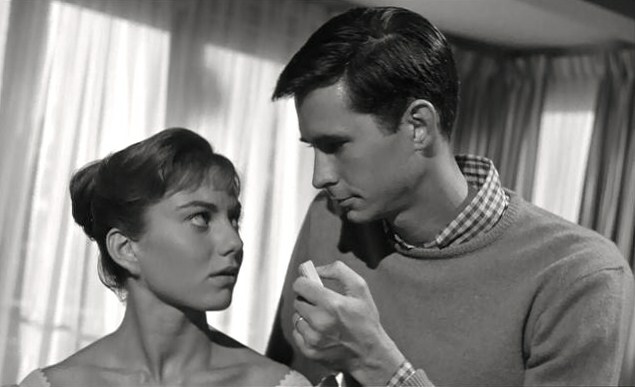 Meanwhile Lieutenant Peter Holmes (Anthony Perkins) and his wife Mary (Donna Anderson) deal with the day-to-day coping with the effects of rationing and lack of necessities as a result of the war. Peter is given an assignment as a liaison to the Sawfish, which has been given the task of investigating how much damage and radiation still exists in the Northern Hemisphere. 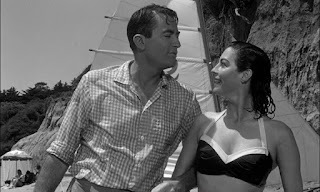 Peter invites Dwight to a holiday party at his house, and Moira Davidson (Ava Gardner), a n alcoholic friend of the Holmes is invited to the party, too, mainly to keep Dwight preoccupied. moira is attracted to Dwight, but he is still under the illusion that his wife and kids are still alive and rejects her advances. Meanwhile, the Navy is receiving garbled messages by telegraph from San Diego. Someone is sending messages, they conclude, but none of it makes any sense. Only a couple of random words are among the words (or letters, if you will) that are being sent. The Navy concludes that the person sending the messages is just uneducated in Morse Code. 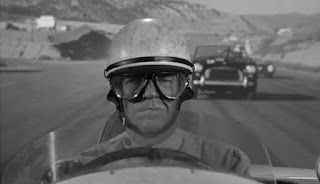 Accompanied by a scientist, Julian Osborn (Fred Astaire), the crew heads north to check things out. 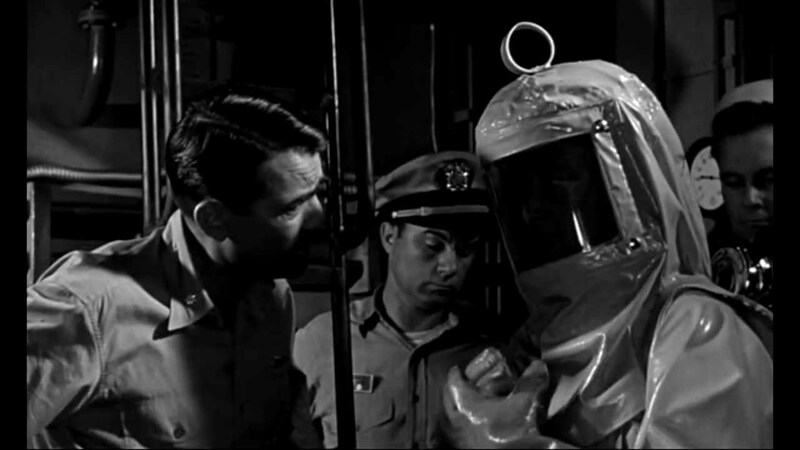 Everywhere they go, however, the radiation levels are higher than expected, rather than lower. When they reach San Francisco, they see it is deserted. (One thing you may wonder is how the town avoided any devastation. It is the only city we are given a chance to see, but one could easily be convinced that the war did not cause any physical damage to structures...) A crewman who was originally from San Francisco (John Meillon, whom you may or may not recognize as Walter Reilly from Crocodile Dundee) deserts the ship so he can die in San Francisco. The crew continues on to San Diego, the source of the strange telegraph messages. You may or may not be surprised as to "who" is sending the messages, but I'm going to leave that as a surprise if you decide to watch the movie. The crew return to Melbourne where they will wait out the coming end. Everybody approaches the end in their own way. Dwight apparently comes to terms with the truth about his wife and kids and has a last-minute affair with Moira. Julian, the scientist, lives out his dream of racing his roadster in the Australian Grand Prix. Mary, however, becomes almost catatonic, refusing to accept that she must kill her own child to prevent the poor thing from contracting the radiation sickness. The government has issued suicide pills that the people can take to circumvent the poisoning death. The obvious message is not meant for the characters in the movie, of course. 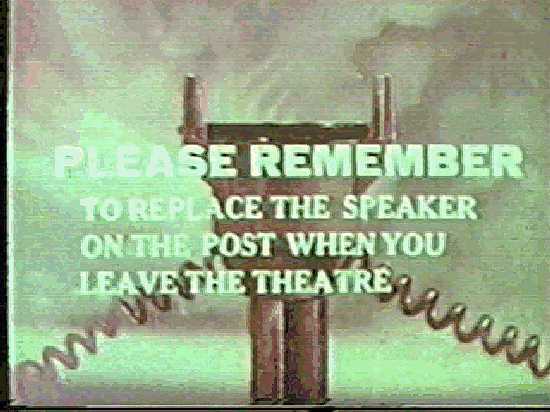 It's Kramer's message to the society as a whole still able to watch the movie. Not that anyone really needs to be told that nuclear war is a bad idea. But to open ones eyes to the fact and to convince the hearts and minds of the fact are two different things. Thus my opinion that this movie is still relevant today, despite its rather dated feel. Once again, the view of this movie comes from how impactful it was to a teacher I had. Had it not been for him, this movie may have never appeared on my radar. Coach Crenshaw passed away last year, and when I first heard the news, this movie and his relating of it in class was the first thing I remembered from our time together as teacher and student. RIP, Coach, this one is dedicated to you. 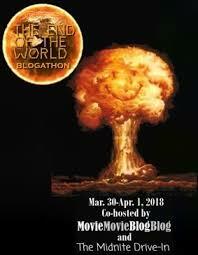 Nice blogathon entry! I've never seen this one, but you make it sound pretty tempting. It's a classic. 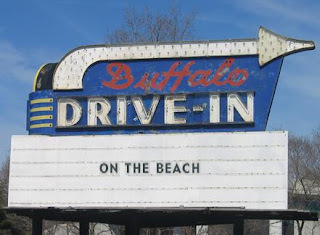 If only for the direction of Kramer or the acting of Peck or Gardner, it's a must-see. thanks for reading. I never hear Waltzing Matilda, but that I get a kick to my gut. Shute and Kramer hit this out of the park. I'm glad you had Coach Crenshaw in your life. Before seeing this movie it was just another Australian ditty, like "Tie Me Kangaroo Down, Sport". But it takes on more impact since watching the movie. Still need to read the novel. Hmmm, I'm at the library, wonder if they have it... Thanks for reading. Nice story about your teacher. Thanks for sharing. Anyhow, I tend to like Kramer's movies (lots of people hate him because they feel he is lecturing the audience). I don't mind message movies. This is a rock-solid drama. It has a dream cast (it's interesting to see Fred Astaire in such a downbeat movie!). Great review! I take message movies as what they are. I know going in what I'm getting, most of the time. If it's not overtly obvious, and the acting is really good, it can be OK. On the other hand, I've seen a couple that just annoyed the heck out of me due to the director trying to beat you over the head with the point. This one ranks as a very good one. Thanks for reading.